The latest and greatest found at Camelot Living. Calling all aviary lovers!!! Our newest addition to our Water Fountain and Birdbath selection at Camelot Living, the Envirostone Temescal Birdbath is stunning and looks like a piece cut out of natural stone. 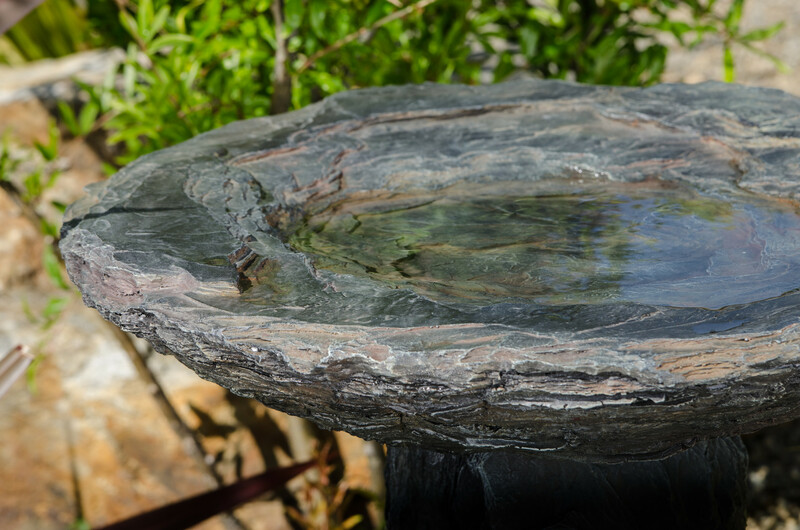 This durable birdbath is constructed of durable resin stone which is weather resistant and extremely realistic looking. Though this gorgeous water feature only weighs about 13 1/2 lbs., it includes a sturdy footing and basing so it won’t tip over. Simple to assemble, the Temescal Birdbath by Bond Manufacturing ships within 1-3 business days and will compliment any garden, front or backyard. Also makes a great gift for those hard to shop for loved ones who have everything! Shop the Bond Temescal Envirostone Birdbath at Camelot Living now for only $149.99 with free shipping! Now that is a great deal. And the birds in the neighborhood will thank you :)! Shop all fountains and birdbaths on sale now and receive FREE SHIPPING at Camelot Living. New Real Flame Slimline Fireplaces Now Shipping! 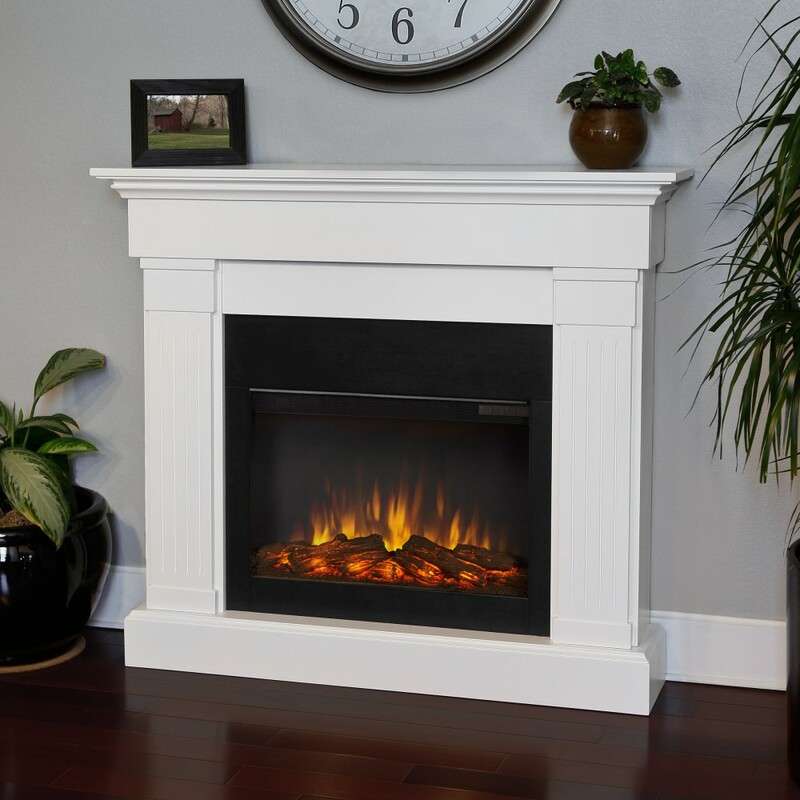 With so many families down sizing due to economic struggles, the new line of electric fireplaces by Real Flame are sure to be a hit in the marketplace. These indoor fireplaces will warm the room without taking up precious floor space in tight areas. Three new models have arrived! The Bradford, Lowry and Crawford have many details in common with different looks. Select from beautiful finishes like dark chestnut oak to pristine white, there is a gorgeous hue for any indoor home decor. The Bradford Fireplace has a mounting depth of only 8.7″. With the stunning arched center and classic details, this fireplace has a built in look to it. 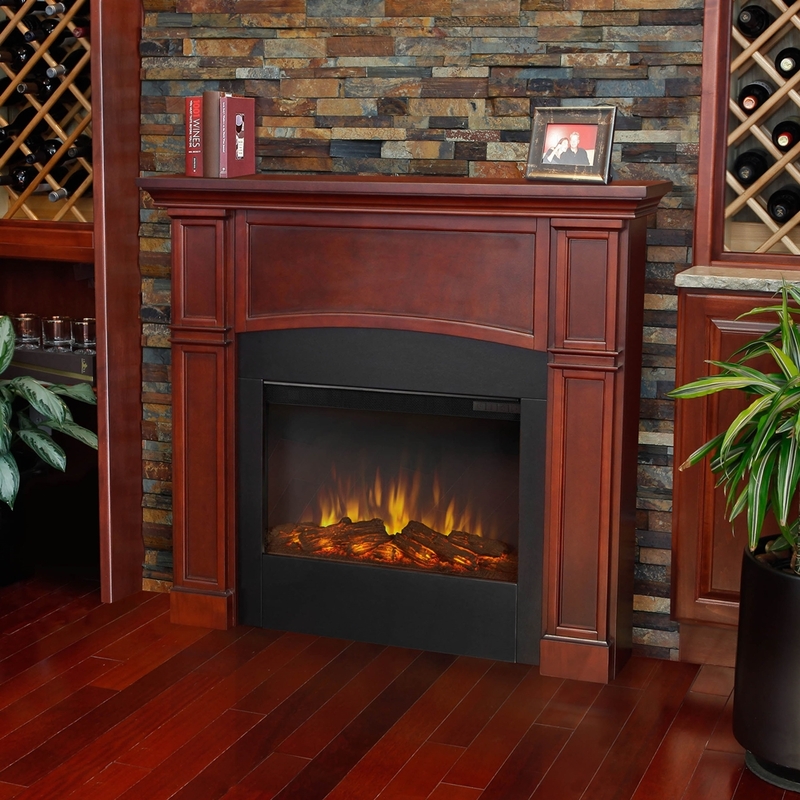 The Lowry Electric Fireplace includes a more contemporary look with clean, straight lines. Available in two unique finishes; Vintage Black Maple and Blonde Oak, this indoor fireplace is truly distinguishable. 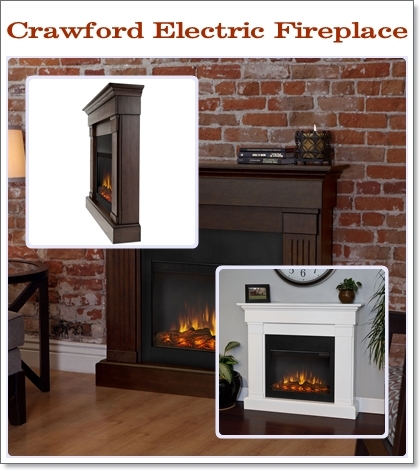 Lastly, the Crawford Electric Fireplace will be available to ship mid November, 2013. Classically trimmed and finished with fluted columns, this durable electric heater fireplace is offered in both Chestnut Oak and crisp White finishes. ALL of the models include a remote control with programmable thermostat, timer function, brightness settings and ultra bright Vivid Flame LED Technology. Simply plug into a standard outlet and be sure to anchor the fireplace to the wall using the included hardware. Then sit back and enjoy the ambiance of the fire and warmth from the heat! Shop ALL fireplaces on sale now at www.camelotliving.com. Please call us if you need assistance finding the perfect fireplace for any room in your home. We have experts standing by ready and excited to help!!! It’s that time of year again…when the leaves begin to turn, the weather cools and we can finally bring out the sweaters from the back of our closets! My favorite time of year!!! Don’t let the cool evenings cause your party to move indoors. 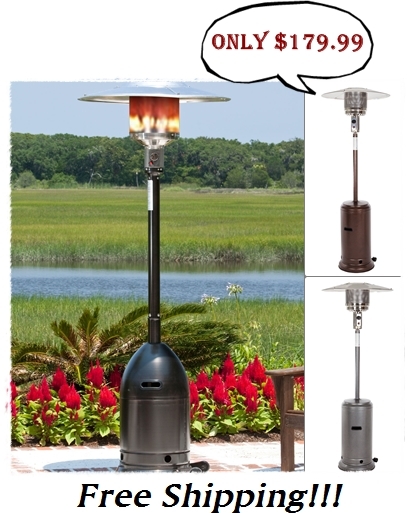 Now is the perfect time to add a new patio heater to your outdoor living room. With new products for 2012 just released, there is a wide variety of sizes, styles and finishes to choose from. And pretty much for any budget! Whether you choose a tabletop heater, standard free standing propane heater or indoor/outdoor infrared patio heater, you will be glad you invested in your patio accessory. As the sun sets, it is so simple to ignite your outdoor heater and enjoy the warmth from the flame. If you choose a propane patio heater, you’ll need to visit the local hardware or home store and purchase an LPG tank. For the smaller table top heaters, you’ll need a 1 lb. tank whereas for the tall freestanding heaters, a 20 lb. tank. Now is the perfect time to purchase your porch or patio heater. Stock is plentiful in anticipation of the season and prices are up to 60% off of retail with free shipping to your door. Starting at $139.99 for a tabletop heater…to $179.99 for a tall freestanding propane gas heater (now that’s a steal)…to only $199.99 for a commercial grade bronze heater!!! And this is an investment that will last for years and years to come. Constructed of durable material to weather well outdoors, most of the heaters include wheels for easy mobility on your patio and also have optional covers to store outside when not in use. They are also extremely safe with weighted bases for stability and safety auto shut-off if it’s tipped over. Check out our huge selection of patio heaters at Camelot Living and if you need help finding one to fit your lifestyle, give us a call! We love to help. (888) 788-3188.